Kamieniec are a dual-purpose medium-wool sheep from Poland. They were developed between 1954 and 1965 in the Kamieniec farm of the Breeding Center in Susz, near Olsztyn. The starting point was a flock of primitive ewes of the Pomeranian type, from individual farms in the regions of Gdansk and Koszalin or brought from settlers from the East. They were initially crossed with Leine and Texel rams, and then mated to Romney Marsh rams. After selection, the progeny was interbred in order to obtain genetic consolidation of the required traits and a more uniform type. 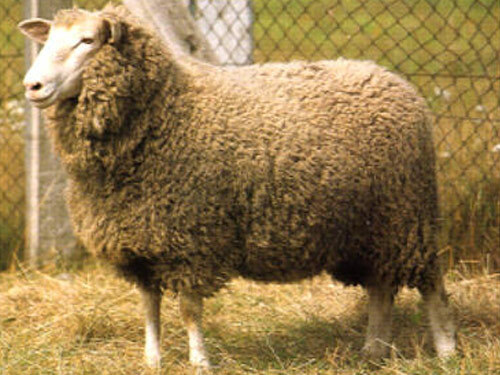 Sheep of this strain have rather large, deep, and broad bodies. Their wool covering much of the body is uniform in quality, with long staples and hgh clean yield. This variety is also highly resistant to diseases, especially foot rot.